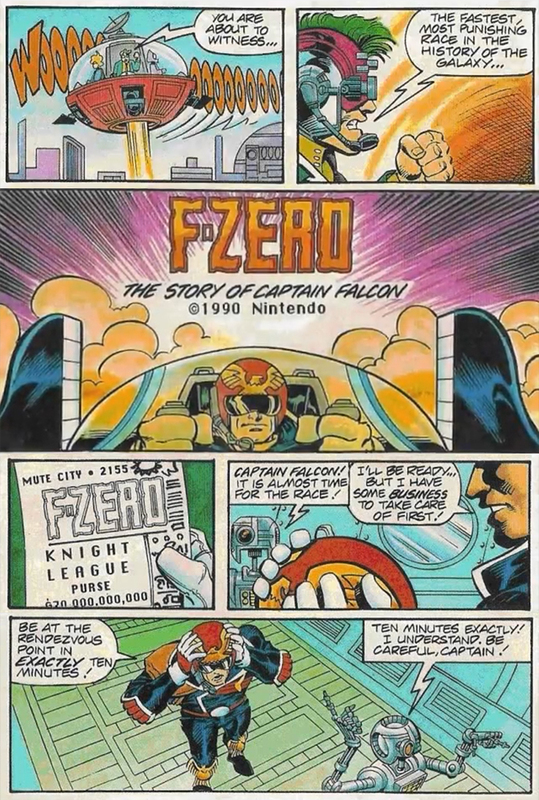 This short comic was included in the instruction manual of F-Zero, the original Super Nintendo game in 1990. It shows off Captain Falcon going about his bounty hunting business then heading to the race circuit to face off against enemies and friends alike. "You are about to witness the fastest, most punishing race in the history of the galaxy..."
"Captain Falcon! It is almost time for the race! "I'll be ready... but I have some business to take care of first!" "Be at the rendezvous points in exactly ten minutes! "Ten minutes exactly! I understand. Be careful, Captain!